Family reunions are a blast. We all get together, have lots of food, talk about our childhoods and generally remember why we all love each other. Or not. This past weekend all my husband’s siblings except one got together at a nearby State Park for a six day camping fest. Starting to gather on Tuesday, they came from all over Florida and north Georgia, taking over one corner of the campgrounds. To say a good time was had by all would be an understatement. Just about every moment was filled lots of laughs. Since we live nearby I was not going to camp, but rather work a few days and stay at night at the house with the dogs. I went out on Wednesday, hugs all around, gushing greetings and a good gossip session. One thing we never talked about in the entire six days was the family history, who’s who and who’s not. I learned at the last family reunion that this family couldn’t care less. So I bite my tongue, zip my lip and keep my mouth shut. I’ve seen too many of those glazed over eyes to realize they are not zombies (well maybe not) but only relatives, bored stupid. Not to have the week be a total loss for me, I found out that there was a small pioneer cemetery inside the state park about half a mile down one of the trails. My husband had been out there the day before and said the name was Columbus Cemetery. 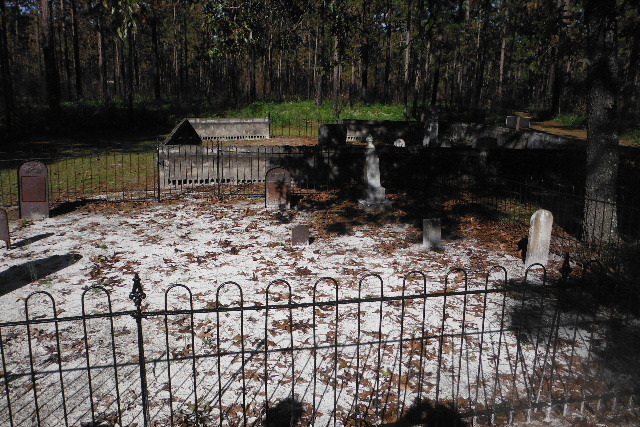 So I looked it up on Find A Grave and sure enough there was a Columbus Cemetery in Suwannee County and there were 20 people buried there but there were no pictures. So I printed out the list of internments and decided to take pictures and post them on Find A Grave. I couldn’t get anyone else except my husband to hike out the trail with me. When we got there, I started taking pictures and he kept saying that person wasn’t listed so I thought I had more people to post. 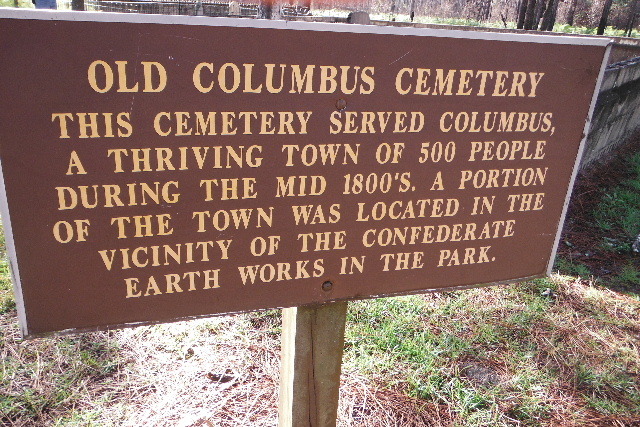 However, it turned out that this was ANOTHER Columbus Cemetery and not the one listed on Find A Grave. How exciting is that? Virgin territory, a whole cemetery that no one has mapped or listed on Find A Grave. You Find A Grave volunteers know what I mean. YUREKA!!! So I took pictures, wrote down all the information and had a thoroughly great afternoon. Too bad the family thought I’d lost it out in the noonday sun. They all spent the day watching golf on TV. Their loss I’m sure. My advice is that just because the name of a cemetery is listed or familiar to you, check to make sure you have the right one. It just could be another cemetery with the same name hiding in plain sight. Now I need to go back out there and find the first cemetery and take those pictures.